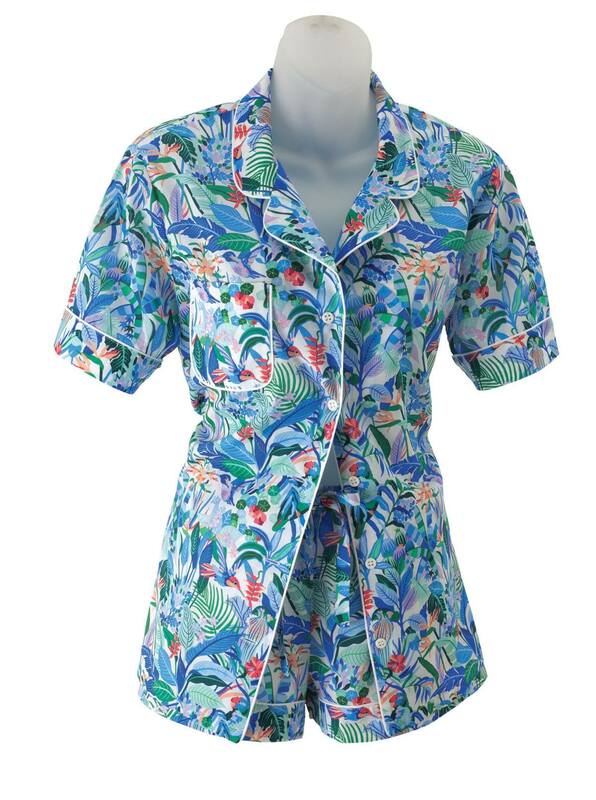 Hummingbird' Pajamas by Derek Rose, with short sleeves, white piping, 1 pocket, elastic waist bottoms, soft and lightweight cotton. In a splendid print of hummingbirds among the flowers. Imported.